Forward Ships' innovative machinery arrangement receives its first official patent right from South Korea, a major shipbuilding nation. The Korean Intellectual Property Office Examiner decided to grant this patent application pursuant to Article 66 of the Korean Patent Act to Arista Shipping S. A. (Applicant code: 520170558378) with Issuance No: 9-5-2018-083274504. The Project Forward initiative led by Athens-Based Arista Shipping, demonstrates that with LNG as fuel, an advanced hull design, and highly efficient propulsion machinery, it will be possible to meet the IMO’s target for a 40 percent reduction in carbon intensity by 2030. The patent-pending machinery arrangement consists of only two low-pressure, four-stroke Wärtsilä 31Dual Fuel main engines and two PTO/PTIs, coupled on one shaft that drives a CPP propeller. This arrangement doubles the propulsion redundancy, quadruples the power-generating redundancy, and provides safe return to port, setting a new standard and lowering operating expenses. This arrangement allows for an improvement in the streamlining of the aft part, the percentage of which is not taken into account in the consumption tables. Further, the positioning of the engines above gearbox centreline allows for additional hull lines’ optimization. “Through the advanced engine technology available today, LNG has a clearly superior well-to-wake emissions profile compared to liquid fuel. 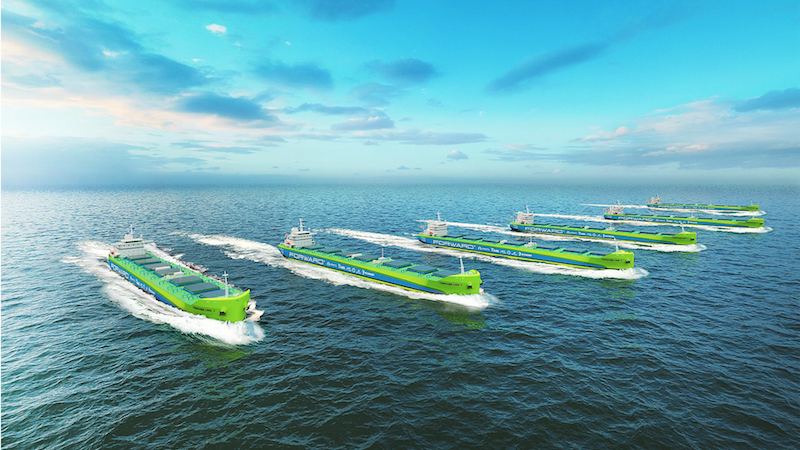 LNG appears not as a transition fuel, but the fuel of tomorrow and for many years to come,” says Antonis Trakakis, Technical Director at Arista and Chief Technology Officer of Forward Ships.